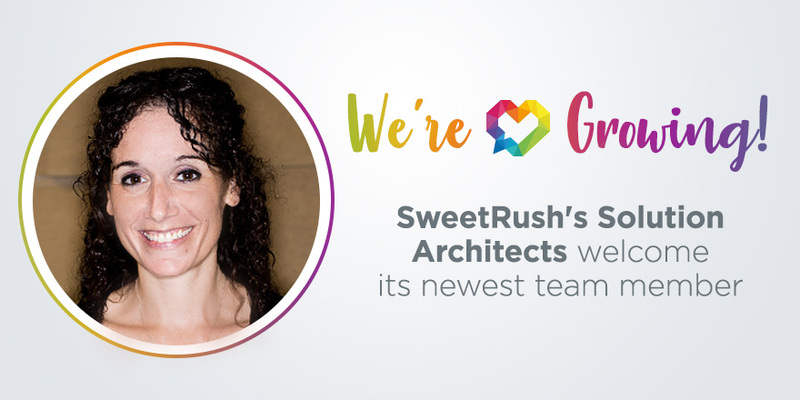 San Francisco, Calif., October 7, 2018 — SweetRush’s Client Solutions team recently increased its consulting capabilities with the addition of accomplished learning professional Aimee Lantzy, who joined as a Solution Architect (SA). One of the features that makes SweetRush unique is its SAs; when clients first make contact with SweetRush, they are put into the hands of a consummate expert whose main focus is proposing creative solutions to solve business challenges. Aimee’s background and current doctoral efforts have a focus on storytelling, which SweetRush and its clients are finding highly effective in creating training products that connect with today’s learners. Aimee’s unorthodox path to a rising career in Learning and Development (L&D) has included a strong focus in the study of storytelling and playwriting, achieving an MFA from Columbia University. This foundation in the power of story helped Lantzy succeed in one of the most challenging roles L&D has to offer: transforming notoriously dry compliance training into engaging learning. Motivated by the desire to work with teams that innovate and look for ways to make L&D engaging and effective, she naturally gravitated to SweetRush. Aimee’s addition to the Client Solutions team adds even more strength to SweetRush’s one-of-a-kind approach to up-front consulting and business development. The company takes pride in knowing that, right from the get-go, clients will be working with a group of high-performing, business-savvy L&D experts. Aimee lives in Austin, Texas, with her husband. They have two little boys, and are expecting a third child. She’s currently working toward a doctorate in education, specializing in the study of narrative and how our brains gravitate to story. At night, she still finds the time to keep working on one of her new plays.